UCL students wanting to develop their understanding of China and its role in the world can apply for a fully funded Master’s scholarship at Peking University (PKU). 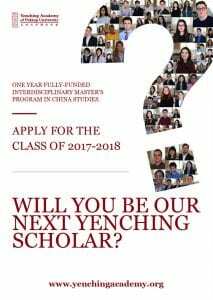 The Yenching Academy is offering the chance to complete an interdisciplinary Master’s in China Studies at the heart of PKU in Beijing. 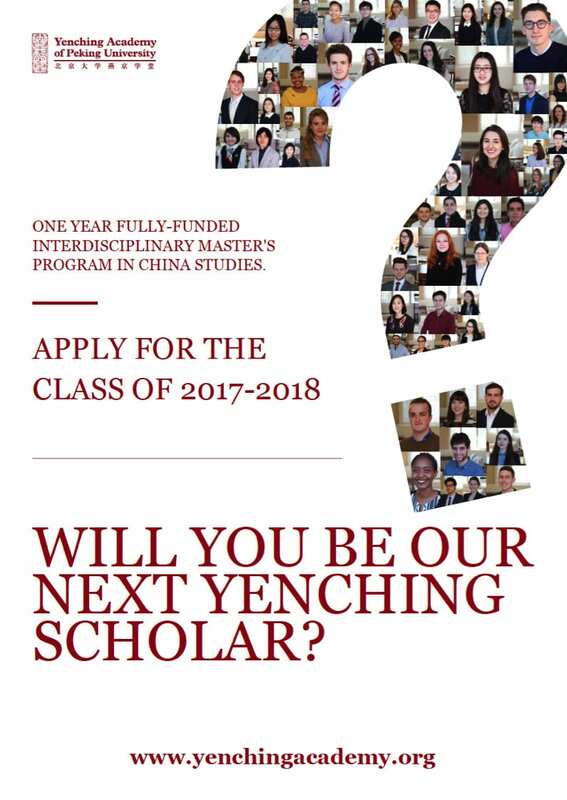 Applications are open to graduates of any discipline until 31 January 2017 and can be submitted directly through the Yenching Academy website. Students can also apply to attend the Academy’s flagship event, the Yenching Global Symposium, taking place from 23-27 March 2017 . This year’s theme is “Xinnovation: Identity of Innovation in China” and applications close on 15 December 2016. Professor John L Holden, Associate Dean of the Yenching Academy, and UCL History graduate James Ashcroft, who was among the first cohort of scholars, visited UCL to encourage students with an interest in China to apply. They explained how the residential programme attracts outstanding graduates from all over the world, helping to shape a new generation of global citizens with a nuanced understanding of China. James, who is now working as a consultant at Deloitte, described how the experience offered the chance not only for intercultural and academic exchange, but also for personal and professional development. 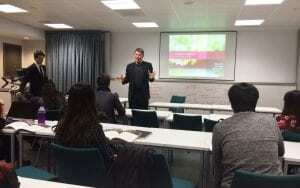 He said: “I principally studied 16th and 17th century political thought at UCL, but also Chinese history. I’d never been to China or studied Chinese before, but the Academy flew us out one month before to do an intensive language course which was a very useful survival kit to have. Working closely with their academic mentors, Yenching Scholars create their own study paths by choosing from six academic concentrations – ranging from Economics and Management to Politics and International Relations – and participating in a variety of extracurricular activities. 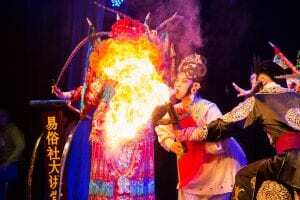 Professor Holden said the programme attracts a variety of high-profile speakers including international ambassadors and renowned authors such as Yu Hua. Some scholars also undertake internships as part of their time in China. He said: “There is no place like PKU in China; it is where all major Chinese social movements have been initiated. We’re able to recruit spectacular people who want to change the world and make a difference. Both urged applicants to make their personal statement stand out and to prepare well for the short Skype interview. Encouraging prospective students to choose UCL: How is it done? UCLMS students – achieving success and helping others | uclms news on Hola Colombia!